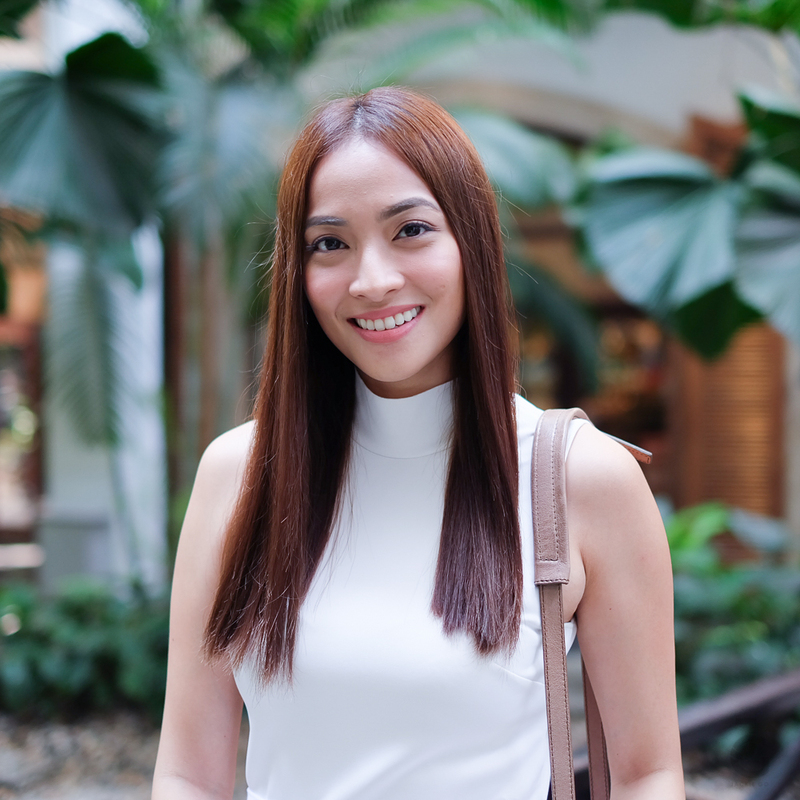 I forgot to share what I wore during the Physiogel launch in Bangkok which happened last February. I can’t believe it’s been almost three months. Looking at tons of photos I have, I am reminded how it’s one of the most fun press launches I’ve attended. Though the launch didn’t prompt us to wear white, most of the attendees were in fact wearing white! I don’t about you but I’ve always associated white with skin care. So I guess most guests feel the same way. So most of us were clad in white. Here’s my all white #OOTD during the launch. It’s drapes fall on the right places and the waterfall silhouette makes it easy to dress down or dress up. Added a pop of color to make it more interesting.